On June 26, 2014, Pamela L. Cox will present industry’s perspective when licensing technology from the university as part of the Innovation to Commercialization (I2C) fellowship administered by the Innovation and New Ventures Office (INVO) at Northwestern University. The eight-week fellowship program begins June 23, 2014 and provides graduate students from a range of fields exposure to the entire commercialization process. Through researching market potential, financial feasibility, and the competitive environment, fellows will determine which university innovations have the greatest potential for market success. INVO realizes the practical uses and public benefit of Northwestern’s inventions and innovations by managing intellectual property rights, providing resources for business development, and conducting faculty outreach. 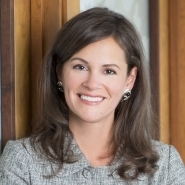 Ms. Cox, chair of Marshall, Gerstein & Borun LLP’s IP Transactions Group, concentrates on intellectual property transactions and the strategic use of intellectual property assets for clients ranging from multinational corporations to non-profit institutions. Pam is "highly recommended" for licensing and recognized as "a pre-eminent authority on university technology transfer and licensing," by Intellectual Asset Management.